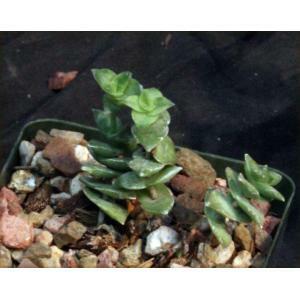 This Crassula, from South Africa in a band across from the Western Cape Province into the Kwa-Zulu Natal, has flattened grey-green leaves arranged loosely along the stems. The variegation is yellow-white striping in the light green leaves. 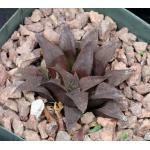 We offer this species in 4-inch pots.